Prefab home options? 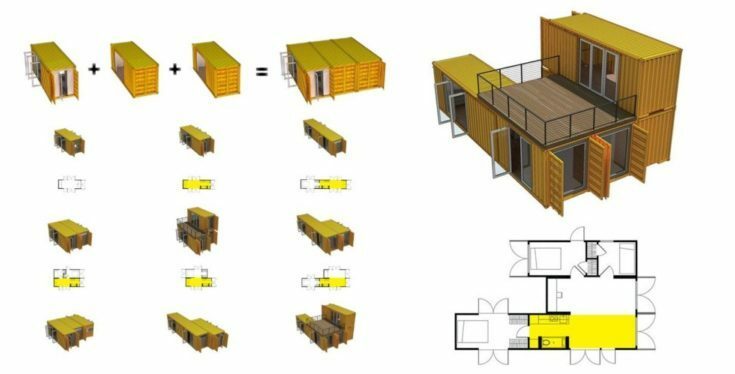 How about the possibilities of structural arrangements using shipping container homes? Nowadays, life in terms of buying a first home has become different (and perhaps difficult) — living is not simply meeting the basics like food, clothing and shelter, but on the other hand, house prices continue to rise. The innovative mindsets of many individuals have moved the trend toward embracing new adventures and diversity — including prefab and modular homes. It’s no longer a culture of being a conformist to the various aspects of life and residential home design style. The generation today is ready to take up inventiveness which is manifested in opting for a shipping container as a house. 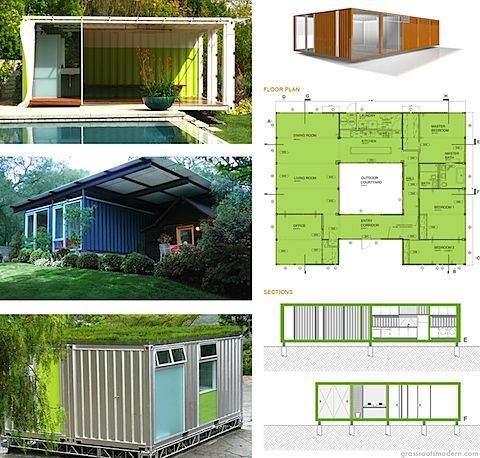 With this type of shipping container prefab house design –such as the designs by one company we found called the Montainer Process (a reputable firm that provides a stress-free approach to put up your home on your property) — home buyers can expect a process in which a design team personally works with them to come up with a home suitable for their budget, necessities and the requirements of the prefab building location (or locations, since prefab homes can be moved easily). They have custom-made floor plans and 3D versions that will display the way your home will look like on your site. 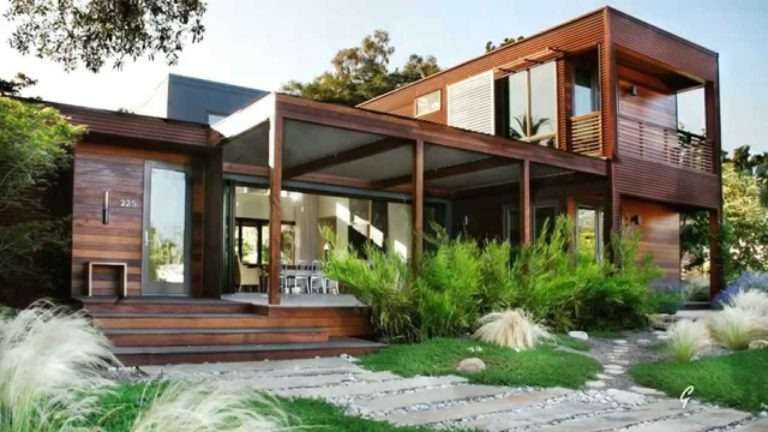 That way, home buyers can approach their home design in a mix and match way — offering limitless possibilities for design by arranging blocks of shipping containers or other prefab / modular elements. At the onset, you will be given choices for the interior and exterior appearance of the prefab house, kitchen and bathroom packages, the type of windows and doors, the style of fixtures and finishes and all other details needed for your new lovely shipping container house. The modular house is packaged with appliances and is set to be attached to your site’s accessible services. This arrangement will enable you to comfortably move to your new dwelling soon after the team has set up your home, while the set up time is often quick compared with conventional home construction as well. Regular amenities of a shipping container house are power-driven baseboard and water heater, undercounter fridge, ceiling lights, TR & GFCI electrical outlets all over the unit, bath sink, shower and lavatory, pantry closets and countertops, stove and exhaust hood. There are usually extra amenities offered as options by prefab design companies. Home owners may take them according to their specific needs. 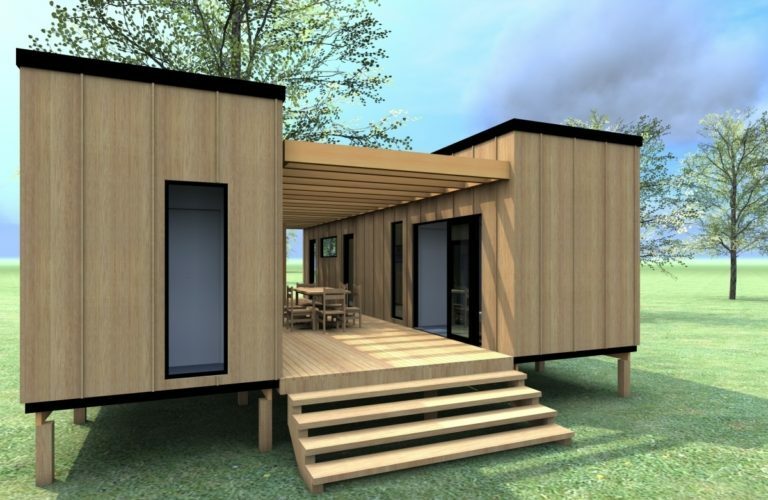 The add-ons for this type of shipping container home include a washing machine with a dryer, advanced heating and cooling system, built-in dishwashers, full size fridge and freezer, tile shower and panelling, full range and oven. Most of these are good as options, because people looking to save can often find these items second-hand as well. As Montainer homes are designed with international building code compliance, licensed in both state and local level, inspected and permitted. As such, you are assured that your house will be approved. The team is responsible for confirming your site’s settings and permit and they will provide you the total cost. As soon as your necessary documents have been permitted, the labor force will then start their excavation. They will also process the connection to existing utilities and setting up of your plotted grounds while your house is built in the company’s facility. When your site is ready and your home has been approved in its last assessment, the company will then transport it to your site. To see more of Montainer Homes work, find them in the Building Homes and Living directory. 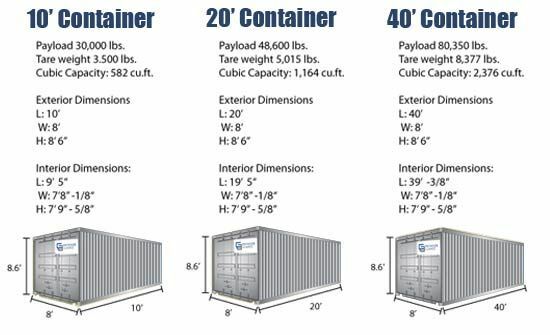 Here are some more shipping container layouts, some designs, and some finished buildings. They go from the simple and utilitarian to the complex and luxurious to stylish modern to just wacky.